I recently introduced the concept of Synced-Data Applications (SDAs). 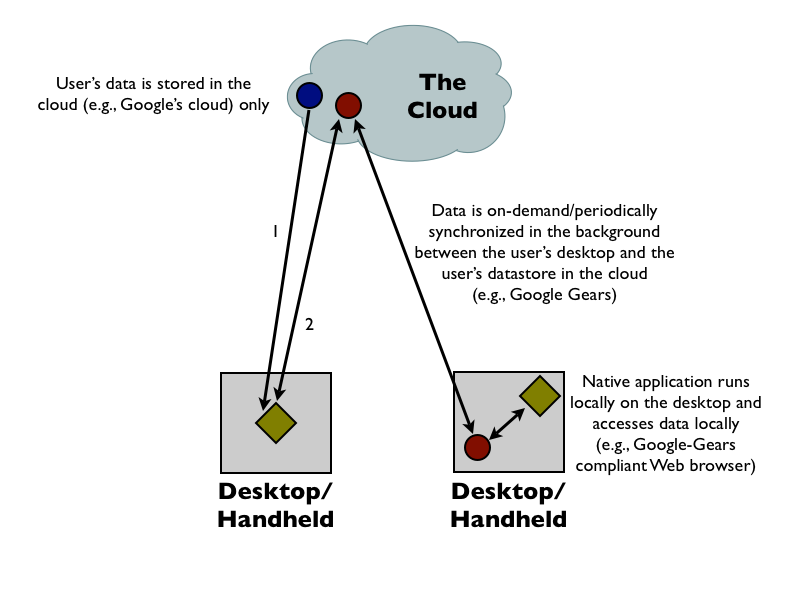 SDAs, summarized in the following figure, owe their existence to the convergence of the cloud and the desktop/handheld. 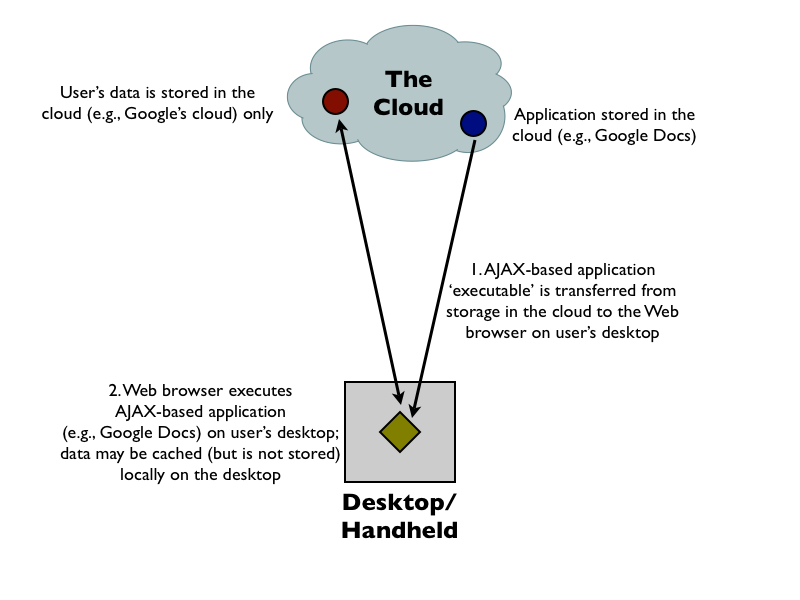 I recently introduced the concept of Synced-Data Applications (SDAs). SDAs are summarized in the following figure. Ian Lumb is Manager Network Operations, in the department of Network Operations, Computing and Network Services at York University, Canada.